William J. Bailey has significant experience in complex litigation including business and governmental matters; land use and redevelopment; municipal law and government. 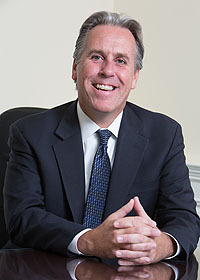 Bill has served as city attorney for the City of Englewood, advising on the full range of issues in municipal governance, from zoning and land use, through personnel, finance and litigation. A certified civil mediator and arbitrator, Bill has served as the court-appointed attorney in both probate and general business matters. As a founding partner, Bill has been instrumental in the development of the firm into a valued and trusted resource for local municipalities, corporations, private businesses and individuals throughout the region. A lifelong resident of Bergen County, Bill has been active as a coach and volunteer in the community where he lives with his wife and three daughters.